← DOES RACING TRULY UNDERSTAND THAT CONTENT MUST BE KING, QUEEN AND SERF? What a refreshing change listening to two down to earth trainers – David Vandyke, below, and Michael Costa, interviewed this week by Michael Felgate on RSN. David Vandyke’s long and troubled journey, battling his well-documented demons – drugs and its twin brother depression and coming out on the other brighter side is a lesson for everyone in racing – young and old – that hope actually does spring eternal and that there is a better life that can be reclaimed. Having given training away, thanks to the life threatening place that he had descended into- a place many in which many in racing silently live is a subject that must be addressed, especially- it would have taken a brave person to predict that David Hayes, as he was then known, would change his name to David Vandyke, and take the equally brave step to jump start his training career. The name change was the first hint that Vandyke was starting to think through the maze. There was no room for two David Hayes’ in the training ranks. And yes, there is only one David Hayes. David Vandyke did not take long to reignite the promising training career that he had left behind, and in a short space of time his innate skills of horsemanship and racehorse training were there for all the racing world to see. It was impossible to ignore the man who had returned from the wilderness and was starting to make a serious impact in the NSW training ranks. He had successes with sprinters, middle distance horses, stayers and expats from the northern hemisphere. Then, late last year along came Yankee Rose – no oil painting to look at and admire, not very big and a horse that you could quite easily walk past without making any inquisitive inquiry. Vandyke’s skills were to the fore with Yankee Rose. After a debut win in the Autumn at very big odds, he put the daughter of All American away and backed his judgment and skills setting her up for a first up tilt at Australia and the world’s premier two year old race – the Golden Slipper. It was a task that some of the better known, old fashioned conservative trainers would never have dreamed of entertaining. Not even in their wildest dreams. And it came so perilously close to becoming a reality with Vandyke’s brave filly chasing home Capitalist in the Slipper and securing a Group One during the Championships carnival. 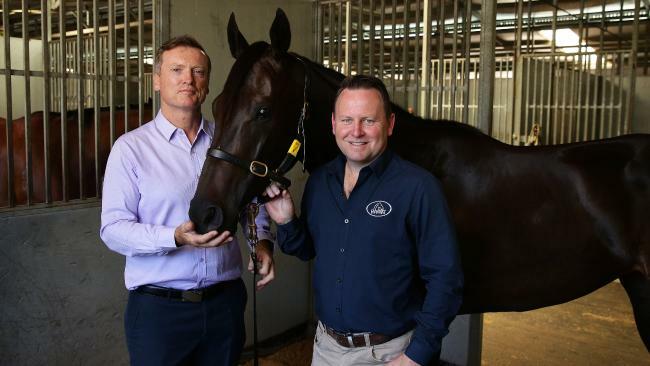 To the surprise of many in the NSW racing industry, not long after the Slipper, David Vandyke decided on a sea change – literally – upping stumps from his Warwick Farm base to move to Queensland’s Sunshine Coast. The continuing dominance of NSW racing by the “chosen few” big stables with the top jockeys riding exclusively for them, has made it difficult for a growing majority of so many of the mid level trainers to survive and prosper in NSW. With Yankee Rose tuning up for the spring, Vandyke’s interview with Michael Felgate was illuminating. Absent was the often double talk and duplicity of many trainers when questioned about the progress of their horses. No concealment of veterinary or surgical procedures, no arrogance or hubris. Instead a willingness to take the punter, listener, interviewer and reporter into his confidence and tell it like it is. It was a thorough and frank run down of Yankee Rose and her progress so far this preparation, her goals and program, his ambitions and dreams of maybe, just maybe, getting to the Cox Plate. There was no disguising her size, or appearance, her casual attitude during trackwork and in trials and her almost “white line fever” when she competes in a race. 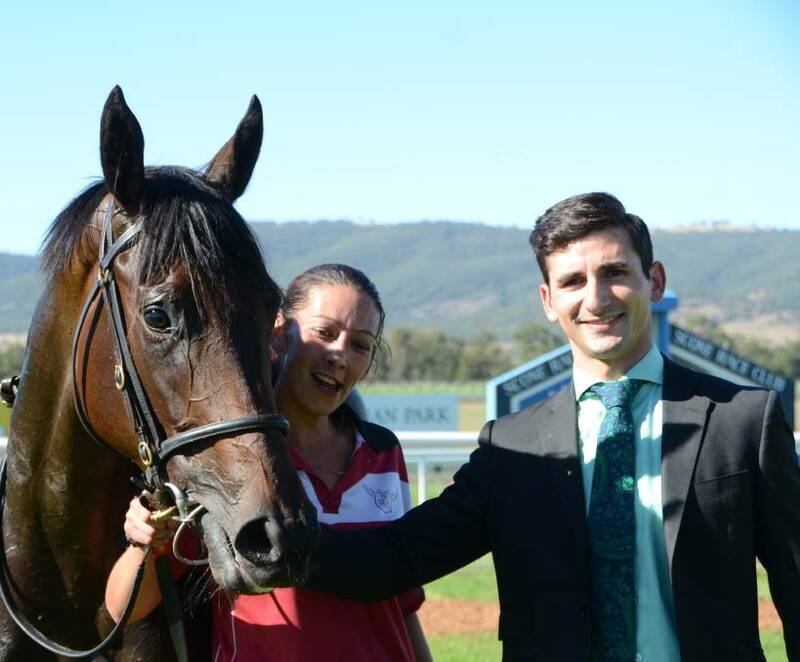 Later in the week, Felgate interviewed a young Sydney trainer Michael Costa, trainer of a very exciting filly Manaya. Costa has chosen one of the toughest racing environments to break into and make a name for himself and to make a living from. Sydney’s racing environment is unforgiving. It is dominated by the select few big names bankrolled by wealth and influence of the Hunter Valley breeders and their mates and Australia’s own version of the “Wolves of Wall Street”. Newbies to the training ranks are not exactly greeted with a welcome mat. Contrast with Melbourne where there is a swag of young up and coming trainers making a name for themselves and providing much needed diversity and positive conversation points for its racing industry that remains under a very dark cloud. As for Michael Costa, we learned he did it the hard way as well. No silver spoons here. While chasing his passion and dream of becoming a racehorse trainer, Costa spent the best part of a year living out of his car. No mod cons, no home comforts, just a car for his mobile home. The car literally was the “roof over his head”. Thankfully, Manaya came along and Michael Costa is being rewarded. Recognizing the goldfish bowl that Sydney’s elite racing model has sadly become, Michael Costa is planning to open a satellite stable in Queensland’s Gold Coast to complement his Sydney base and make a financial success of his profession. If Queensland ever gets its act together and with Elliot Forbes at the helm of Racing Queensland, it just might, it could entice many more NSW trainers to give Racing NSW and the Sydney racing model the two fingered salute and move to the Sunshine State. The real life battles of David Vandyke and Michael Costa to make it in the predatory world of racing and eventually make a success of their training careers and live their passion is the part of horse racing which flies way under the radar. These are real life stories which can be transposed into any other profession and sport. These are real stories which put the drug cheats and race fixers into perspective. And the vindictive and venomous social media rants of disenchanted Trainers and their brain dead cheer squads. It is stating the obvious that the wagering landscape is in for a massive regulatory and fiscal shake-up. It has already begun. The corporate wagering operators, who have pushed the boundaries to the absolute limit with their suite of wagering products and gone on a marketing binge which has largely kept the electronic and sections of the racing print media afloat financially, are close to facing their day of reckoning. A dysfunctional political environment resembling a virtual hung parliament, and a stronger voice for members seeking to regulate the rampant corporate wagering sector, and their in your face advertising and its impact on the community, turning punters in all categories – small, medium, large, occasional to regular- into gambling junkies and addicts, and targeting young sports-minded children into future victims of gambling addictions, has ensured that dramatic and far reaching regulatory change is now only a question of timing. And the momentum for change is irresistible. When qualitative research starkly demonstrates that kids still in primary school associate sport, irrevocably, with betting, the fat lady has well and truly sung for these operators and their crass and at times grossly irresponsible advertising content. Despite the loud protestations and threats by the Sector to pack up their bulging bags and go elsewhere, the South Australian government’s proposal to introduce a separate and new “consumption” tax on corporate wagering operators, will not only be ratified by it’s parliament, but the precedent will inevitably be replicated by other states anxious to boost their revenue. To borrow from that famous Seekers hit from the Sixties, the Carnival is well and truly over for the corporate wagering operators. Their survival and future prosperity will be inextricably linked to their ability to adapt to a very new and different wagering environment and model, where their arch enemies – the pari-mutuel operators – Tabcorp and Tatts- will have the once in a lifetime opportunity to claw back much of the growth and market share which they have lost since the game changed nearly two decades ago. For Tabcorp and Tatts, and their shareholders and the Australian racing industry, the timing of the shake-up is opportune. Both organizations operate under conservative business models, with little if any understanding of dynamic changes which have evolved in the wagering market in recent times. The Australian racing industry has been complicit with the their joint venture partners – Tabcorp and Tatts, in their tardiness in adapting to and often resisting change. At least Tatts CEO Robin Cooke acknowledged that his company had failed to build its brand in the face of the corporate bookmakers assault on their market share and bottom line. But it’s much more than that. Both Tabcorp and Tatts must change their culture and relationships with the racing Industry and with their own customers. It is no secret that while many regard Tabcorp and Racing NSW as joined at the hip, the relationship in Victoria belies the spirit of joint venture partnerships. 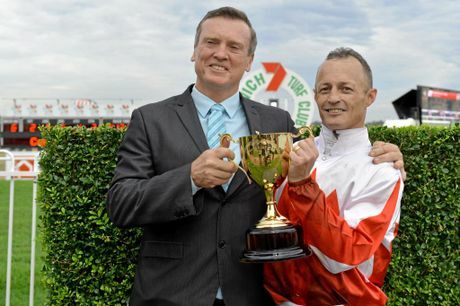 In Queensland, the on-going problems within the industry and its governing body and the treatment of racing as a political football by both major parties has fractured the unity of many of the participant and stakeholder groups in the sunshine state. And in West Australia, well it’s anyone’s guess when the IPO for sale of its Tab will even be drawn up, with a rag bag of self-serving agendas and individuals bickering and positioning themselves for roles in the post-privatized wagering environment. A merged Tabcorp and Tatts – again, only a question of when it will happen- should be a game changer. But it is predicated on both organizations and their respective joint venture partners in the various States resolving the mistrust and differences that have eroded much needed harmony to face the challenges that are common to both sectors. The opportunity is also ripe for a National Tote Pool to be established. The failure of the racing Industry and their joint venture partners to successfully prosecute a case and lobby their respective State Governments to legislate for it, is both an indictment on racing and one of the biggest buffers to growth of wagering revenues in the traditional pari-mutuel sector. It’s a no brainer for the financial well being and prosperity of Australian racing. Yet, the usual furphys are always thrown up – and they all find themselves road blocked by the same tedious argument – how will the taxation and revenue sharing arrangements be worked out, and, more importantly, agreed upon given disparities in wagering pools in the various States to name the most common point of near irreconcilable dispute between the states. Clearly a circuit breaker is needed to break the deadlock. That circuit breaker has to be the State Racing Ministers who need to establish a legislative framework to establish a National Tote Pool and resolve the distribution of wagering revenues between the States. Australian racing with its outdated state based regulatory bodies and an ineffective toothless, in name only national body, is so far removed from a more vibrant and buoyancy environment enjoyed by the various football codes and cricket, that it does, regrettably, require the intervention of Government – State and Federal to decisively determine a future national structure that can take Racing forward in every state. Racing has demonstrated convincingly that it is incapable of getting its own house in order. This entry was posted in Australian horse racing industry, Horse Racing, HORSE RACING AND SOCIAL MEDIA, Racing NSW, The horse racing industry and tagged David Hayes, David Vandyke, Manaya, Michael Costa, Michael Felgate, NSW, RSN, Tabcorp, Yankee Rose. Bookmark the permalink. I’ve been pushing the various powers that be for a National Tote for over 30 years . The answer to many of racing’s problems would be eased considerably by a National Tote and at last give the punter an even playing field.